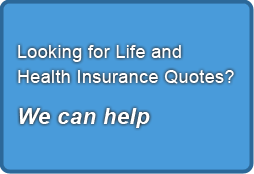 COBRA requires group health plans to offer continuation coverage to qualified beneficiaries, such as covered employees, former employees, spouses, former spouses, and dependent children when group health coverage would otherwise be lost due to certain specific events, known as qualifying events. Those events include the death of a covered employee, termination or reduction in the hours of a covered employee’s employment for reasons other than gross misconduct, a covered employee’s becoming entitled to Medicare, divorce or legal separation of a covered employee and spouse, and a child’s loss of dependent status (and therefore eligibility for coverage) under the plan. COBRA sets rules for how and when continuation coverage must be offered and provided, how employees and their families may elect continuation coverage, and what circumstances justify terminating continuation coverage. COBRA applies to single-employer group health plans maintained by employers with at least 20 employees on more than 50 percent of its typical business days in the previous calendar year. Both full- and part-time employees are counted to determine whether a plan is subject to COBRA. Each part-time employee counts as a fraction of a full-time employee, with the fraction equal to the number of hours that the part-time employee worked divided by the hours an employee must work to be considered full-time. COBRA applies to multiemployer group health plans under which any of the employers contributing to the plans for a calendar year normally employed 20 or more employees during the preceding calendar year.